Naturally occurring crystalline structures called zeolites have the ability to separate molecules, speed chemical reactions, rearrange atomic bonds, and break down long chains of hydrogen and carbon atoms. Scientists screened a large database of possible zeolite structures to find a few that can lead to cheaper ethanol and better engine lubrication. What they've discovered could mean greater engine efficiency and big savings for you. Screening a database of millions of possible zeolites – molecule-sized sieves that can filter, trap or chemically process materials – led to the discovery of candidates for ethanol and petroleum production. Image courtesy Kelly Harvey and Rice University. Zeolites — yet another thing you never knew you were so dependent on. From cat litter, to laundry detergent, to helping engines work more efficiently, zeolites are everywhere. Scientists recently enlisted the Mira supercomputer at the Department of Energy's Argonne Leadership Computing Facility (ALCF) to discover a few zeolites that promise a leap forward in ethanol purification and lubricant viscosity. Zeolites (from the Greek, 'boiling stone') are crystalline structures found near volcanoes. Scientists laud them for their ability to separate molecules and speed chemical reactions. The petroleum and biofuel industries are wise to their ability to rearrange atomic bonds and break down long chains of hydrogen and carbon atoms (alkanes). 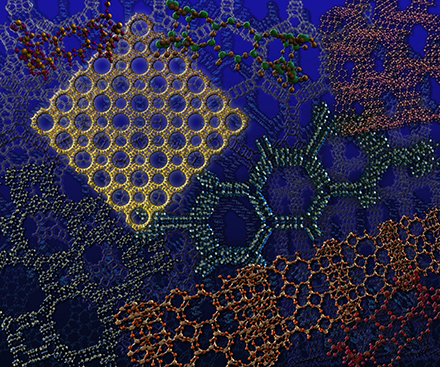 Deem and colleagues from the University of Minnesota, US teamed up with engineers at ALCF to screen the structures of about 200 experimentally made zeolites and a much larger database of 330,000 predicted stable zeolite structures. This is a subset of Deem's 2.6 million structure database, compiled in 2009 via the NSF TeraGrid, primarily using the Condor pool at Purdue University, US. The key scientific gain is demonstrating the ability “to screen a large number of structures to discover those best suited for adsorption of these long alkanes, and for selecting ethanol over water,” Deem says. To screen Deem's database, researchers ran a sophisticated Monte Carlo simulation on 131,072 cores at the Mira supercomputer. What took only a few days on Mira would have taken a few hundred years on the average desktop — in other words, not doable, Deem says. What the computational research team discovered has provided two long-sought benefits. First, they've cracked the code on the ethanol purification process. 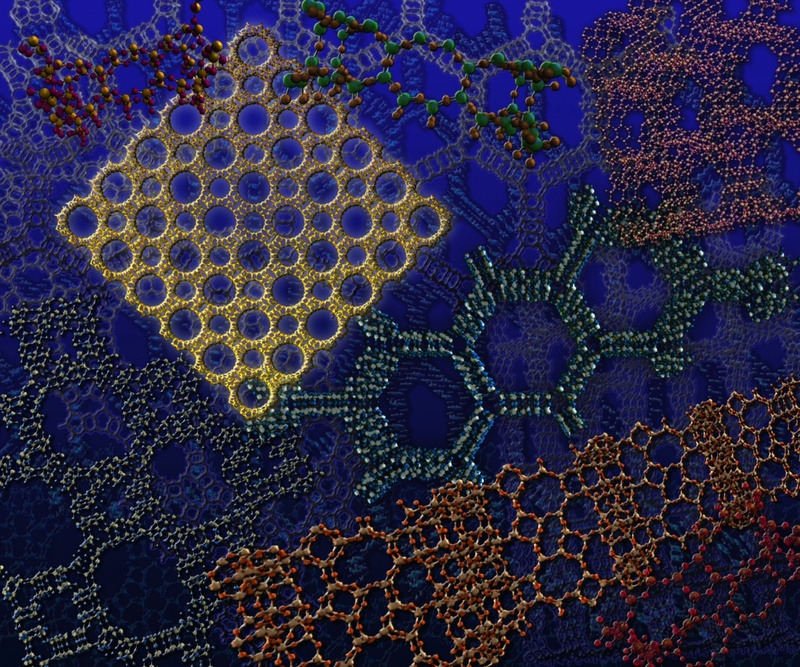 Using the Mira supercomputer, researchers uncovered zeolites with channels containing favorable adsorption sites for ethanol that exclude water molecules. One zeolite structure was found to be so effective at this sieving action that it could replace the ethanol distillation process by a single-step adsorptive process, saving both energy and operating costs. “Purer ethanol is desirable because fuel-grade ethanol can be put directly in the tank or blended with gasoline. Having water in ethanol causes problems for engine performance, because water doesn't burn. Another problem is that water is corrosive, and you don't want your engine to corrode,” says co-author Ilya Siepmann, distinguished McKnight university professor and distinguished teaching professor at the University of Minnesota and director of the Nanoporous Materials Genome Center. The chemical properties of pure ethanol are also much different than those of ethanol with water; the lower toxicity and higher performance make it desirable for the health and research markets. A second benefit to come from Deem's research is the identification of zeolites that could more efficiently produce diesel fuel and lubricants with improved performance, such as a lower pour point and enhanced viscosity. By transforming the linear alkane molecules into slightly branched alkanes, zeolites alter oil's tendency to turn waxy at cold temperatures. Since lubrication is essential for most machinery — and since we all depend on machines — increasing their efficiency helps us all. Increasing a lubricant's viscosity in this way prolongs the life of a machine, in turn introducing a cascade of environmental benefits. For instance, better-lubricated engines are typically longer lasting engines. What's more, well-lubricated engines require less energy to accomplish a task. This translates into higher miles-per-gallon, lower emissions, and fewer fuel purchases — directly impacting a family's budget while minimizing harm to the environment.